Your business depends on marketing to attract new customers and grow sales. If your business has ever wondered what types of content it should produce and how to distribute that content, then you are in luck! Strategically, the word “content” means more than just a blog post or ebook. It is crucial to see how content can be used as a tool drives the big picture of your business. Content plays a central role in the acquisition of clients and sales across your business. 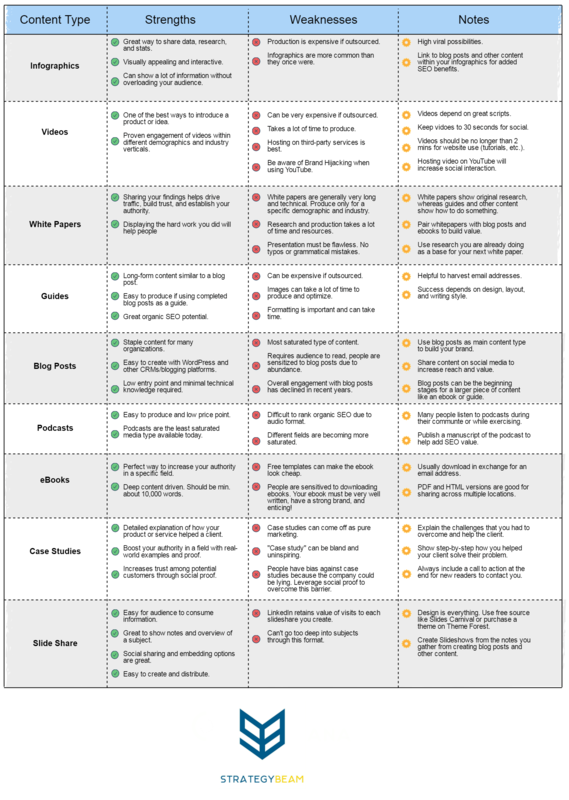 Today we are going to look at ways to choose and compare types of content to boost your marketing strategy. If you want to find the best content to produce then you should check out a huge list of online marketing tools for small business owners today! Marketing your business is no small feat. From understanding your audience, researching the best keywords, and producing great content to inspire your audience to take action is difficult. Figuring out what types of content is best for you to reach your business goals and reach your audience is the goal of internet marketing. Your business marketing mix is based on preferences of your audience and based on their needs. Here are the three most important aspects to consider as you begin to build our your small business marketing strategy. One of the most important aspects of great content is producing content that can come with a professional freelance copywriter. Prioritize content around your audience. Your content needs to address the unique needs of your customers. Any content that does not provide relevant and valuable content for your customers is a waste of your time and resources. Identify content gaps. A content gap represents market opportunities that your business can fill. These opportunities are created by problems your customers have that is not provided by you or your competition. Perform competitive research to validate your assumptions. Competitive research gives you valuable insight into the needs of your customers and what your competition is currently offering. This step helps you understand if your content will be successful. Many small business owners get confused over the meaning of the content. The best way to think of content regards a tool that moves prospects from awareness to conversion. Just like a trained carpenter you need to know when and how to use different content to reach your business goals. Every type of content offers its strengths and weaknesses regarding audience reception and consumption habits. You need to be able to balance the required investment of time and money to create your content compared to the benefit that content has for your business. 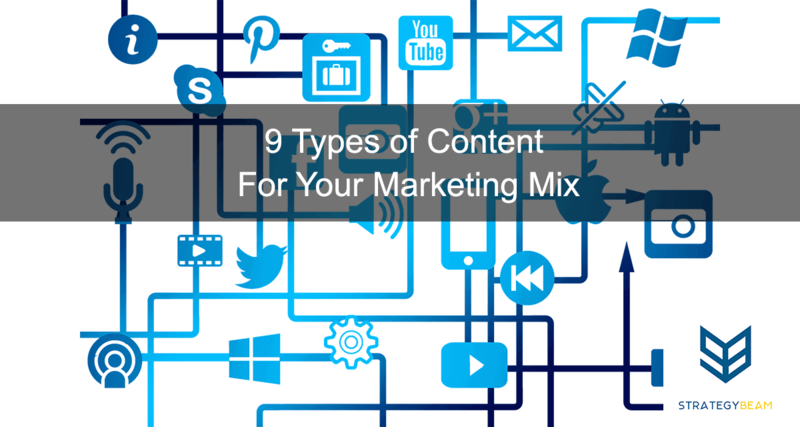 Take the guesswork out of the content you should use by understanding the benefits of different content types. Now it’s your turn! What types of content does your business use? Have you used other content but it wasn’t working? Let us know in the comments below!